The plan for robots with enhanced capabilities that operate the remote-controlled weaponry system or single-handling automated defensive platforms, this dream that been postulated in Sci-fiction movies has became now a reality as modern armies around the globe spending more on military robotic researches in equivalent to military budgets on human training and development. "The future warfare will see more of sophisticated combat autonomous robots fighting on land, in the air, at sea and in outer space. It's empirically to understand that the days of conventional soldiers on the battlefield are numbered". 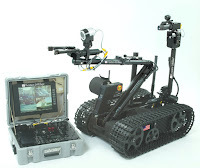 The revolution of autonomous ground robotic systems are increasing in 21 century. The civil companies and researching institutions are working together with their domestic militaries in developing the next-generation technologies and autonomous applications that can be used to defusing bombs, clearing routes and gathering intelligence on enemies' lines. 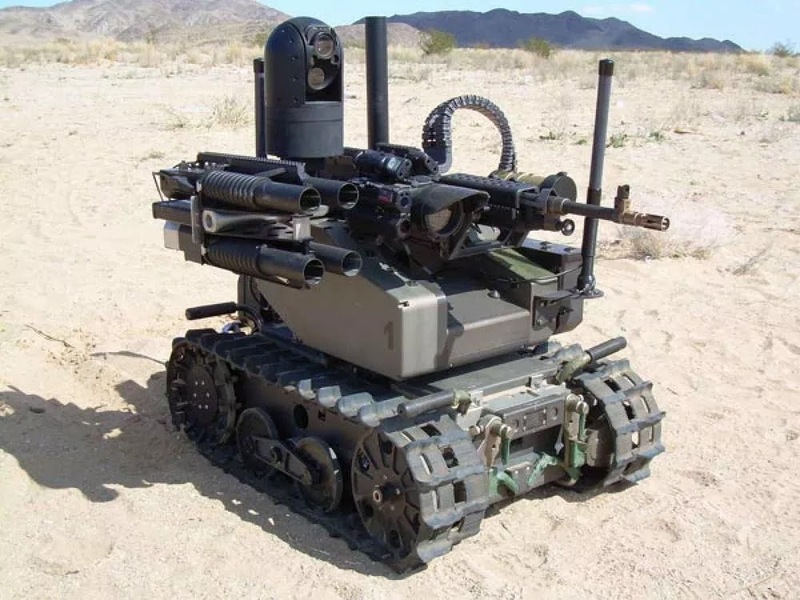 The military robots like humanoids and mini-tank that we are analyzing now on this blog, these technical advanced robots can able to carryout all required military task like supplying military operations or armed with heavy machine guns to support infantry fire. 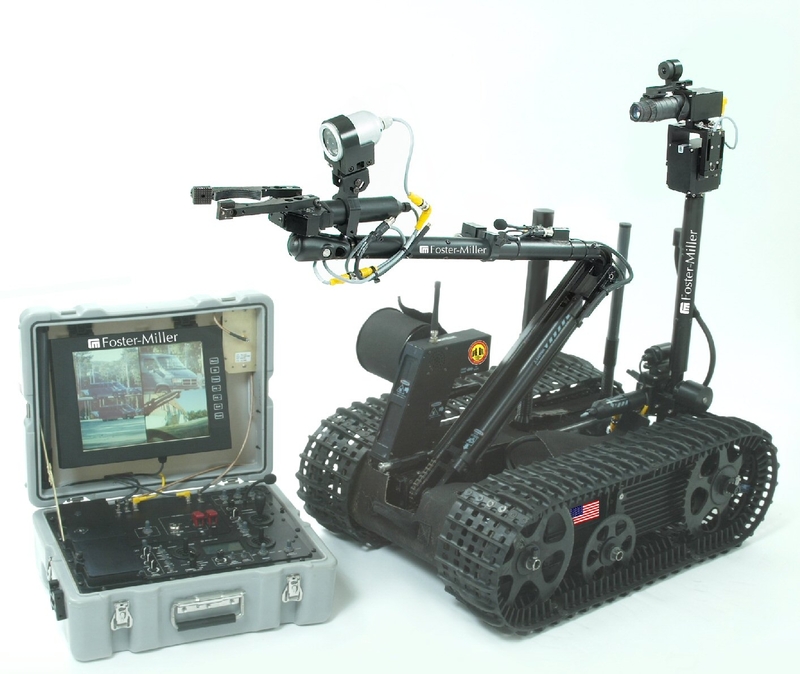 The project like Behavioral Learning and Adaptive Electronic Warfare (BLADE) program under DARPA for example, has built several model of ground robots for infantry units and for explosive ordnance disposal specialists. The robotization in military will allow the machines to carry heavy load as well as monitor the dangerous terrain before human soldiers set foot on it. The robots that detect mines and clear them will be useful during battlefield, where enemy may lay ambush. The primitive armies in the third world [Africa] that resist to changes will facing constantly pressure when much of their efforts are spending on human recruitment other than investment in research and technologies. The modern armies need mechanised mules and bio-bots and cyborgs that scout ahead, resupplying soldiers during combat situations and provide operational information to support the troops. These small robots in military will trundle alongside the troops on-foot, since it can loaded with heavy weaponry like machine guns and sophisticated satellite espionage system so they can point out potential dangers first without risking any human being. 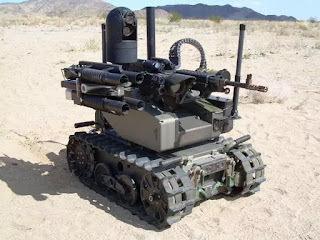 Modern militaries need tiniest self-driving or self-commanding humanoids for possible assassinating the adversary's key leaders and commanders whom their elimination would be a mission success. The robotic soldiers would scout drones that fly ahead of manned helicopters and report back what they find.“I see a greater robotization [of war], in fact, future warfare will involve operators and machines, not soldiers shooting at each other on the battlefield,” said Lieutenant General Andrey Grigoriev, head of the Advanced Research Foundation (ARF) – he told RIA Novosti in an interview. 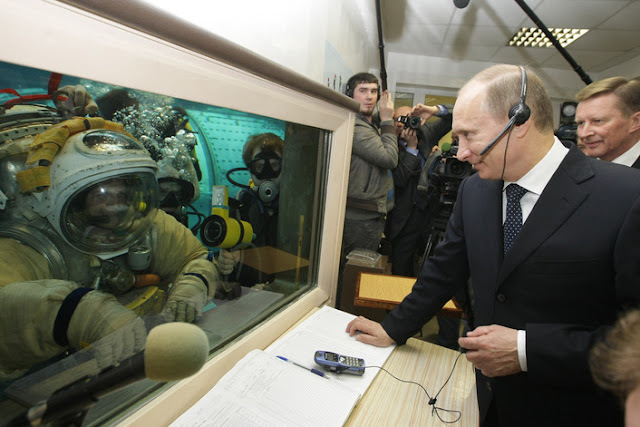 He noted that future warfare will be determined by unmanned combat systems: “It would be powerful robot units fighting on land, in the air, at sea as well as underwater and in outer space.” “The soldier would gradually turn into an operator and be removed from the battlefield,” Grigoriev added. In 2016 October the Russian military outfit, United Instrument Manufacturing Corporation (UIMC) said it had developed the Unicum software package, which is capable of powering a group of up to 10 robotic systems. The system software can distribute ‘roles’ among robots by choosing and assign task to each individual machine like a ‘commander’ of the combat mission and so forth. The Kremlin is already working on Russia’s infantry combat Ratnik 2 system which is underway, at AFR developing a next-generation military automation. The Legionnaire is another new project, that would involve brand-new firearms, communications systems as well as enhanced protection from bullets and shrapnel, allowing an infantryman to wear special designed exo-suit that makes soldiers feel comfortable in any hostile environment. Last year, Russia unveiled a constellation of sophisticated robots armed with machine guns, automatic cannons, grenade launchers and other combat equipment. Russia’s latest battle tank, the T-14 Armata, will also get robotized features which are likely to make it the deadliest unmanned ground vehicle (UGV) ever known. In June last year, General Grigoriev also told reporters that Russia is underway developing a cyborg [humanoid] “resembling a human in appearance” and designed to operate in hostile environments on his own. The humanoid will learn how to run, jump, overcome most difficult obstacles and even ride a motorbike, he announced. In March of this year, Uran-6 mine-cleaning robots were used by Russian bomb disposal units deployed to the Syrian city of Palmyra on a de-mining mission. The robots were said to be capable of carrying out controlled explosions or destroying explosive devices they encounter.